OK, part two of my list of fun and easy species to keep in an unchilled native marine aquarium (see here for numbers 10-6). I will later post about species to avoid, and of course also about easy seaweeds to keep. 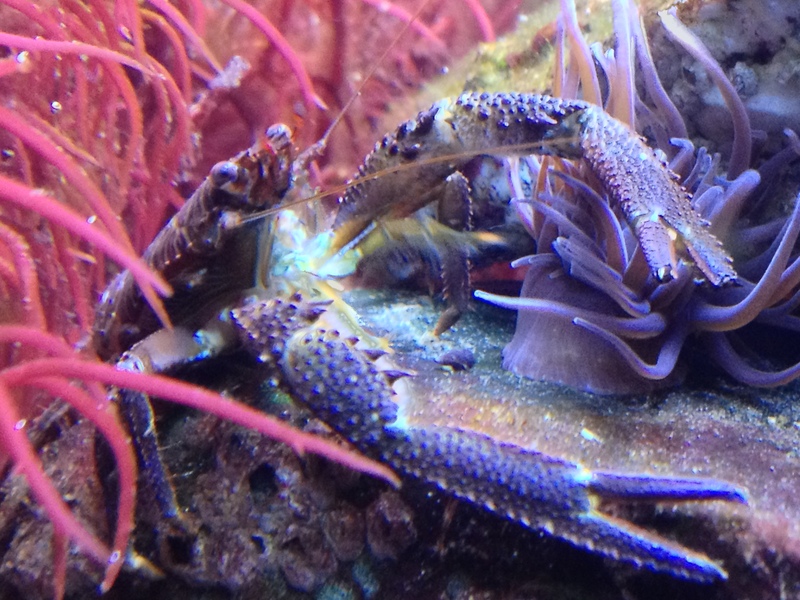 Crabs are active and interesting to watch, however, in a community tank they should not be too large as they can be quite destructive as well. Juvenile Shore crabs Carcinus maenas are an option, or a variety of crab species that stay small, such as Pirimela denticulata (I am not too sure what species the above pictured crab is, but it is still doing well four months after collecting it). Squat lobsters Galathea squamifera can be a bit shy but are entertaining to watch as they scuttle about. Very common under rocks in silty areas. Very pretty and common anemones that are easy to keep. Beadlet anemones Actinia equina and Strawberry anemones Actinia fragacea survived in my aquarium as well but they seemed to shrink a bit over time rather than grow and these species can retract their tentacles which looks less nice. 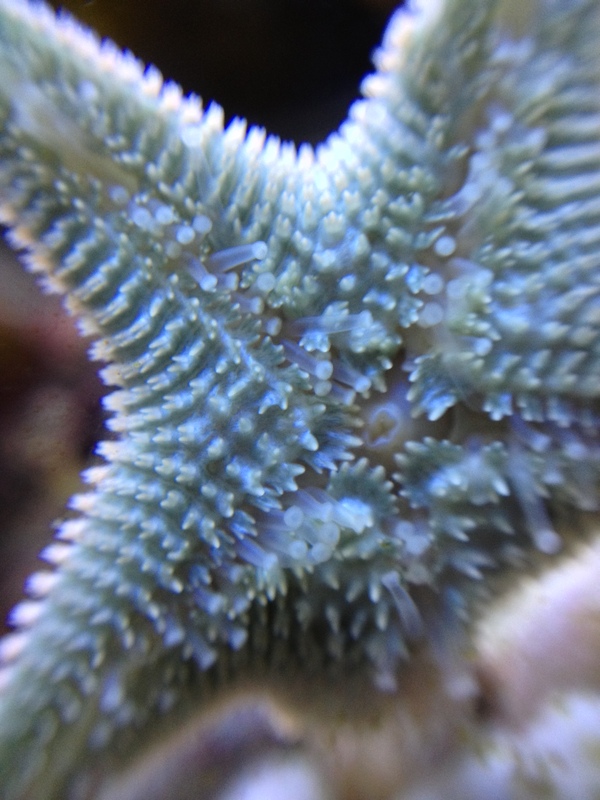 I did not specifically feed my anemones by dropping artemia or food pellets on them. 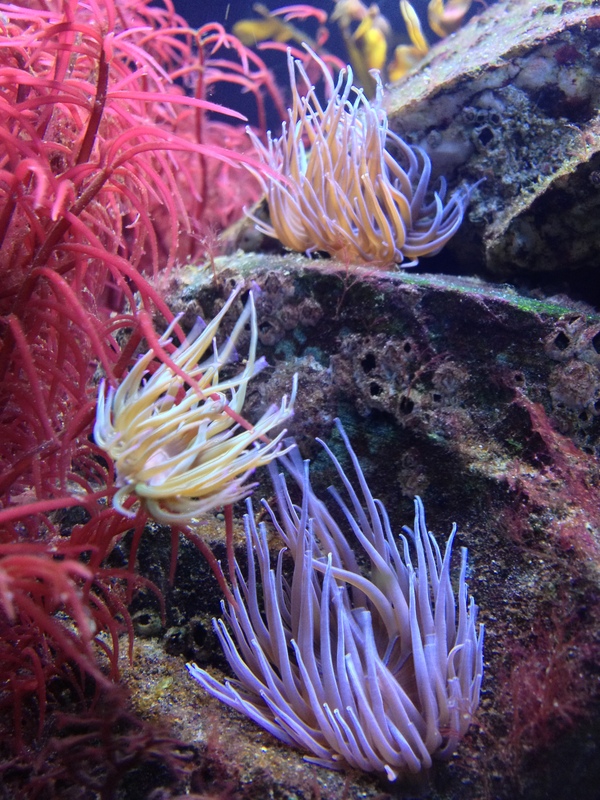 The photosynthetic capabilities of Snakelocks anemones due to their algal symbionts probably makes it easier for them to thrive when food is relatively scarce. Beware for the tentacles of larger individuals though, as they can sting! 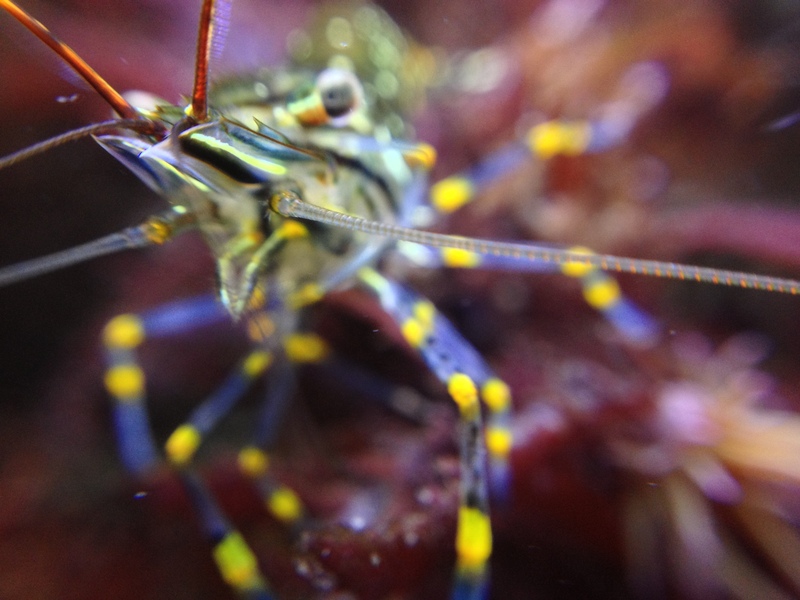 Prawns* have been a rage in tropical freshwater aquariums for years but people forget that there are very pretty ones right in our seas. I must admit I have not got round to checking rostrum (the ‘nose’) structures to differentiate between several closely related Palaemon species, but I think I have the Common prawn. They are always foraging and flock to any new object in the aquarium to check for edible bits. If the pumps are switched off they will swim and compete with the fish for food. My numbers 2, 3 and 4 could have been number 1 as well, but I ended up picking the very common Cushion Star. 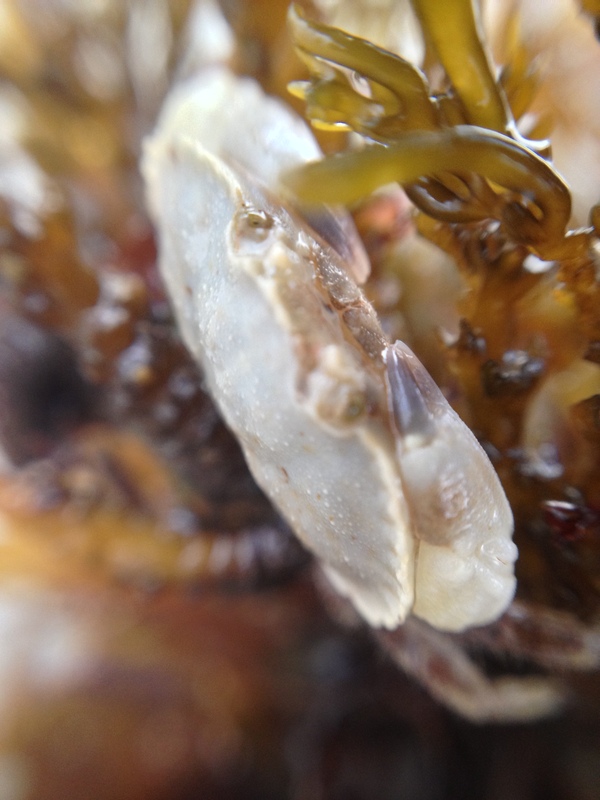 Although grey and just an inch in size, these quintessential rock pool inhabitants are active, hardy and just plain cool! This entry was tagged Actinia equina, Actinia fragacea, Anemonia viridis, Asterina gibbosa, Beadlet anemone, common prawn, crabs, Cushion star, Galathea squamifera, Palaemon serratus, snakelocks anemone, Squat lobster, strawberry anemone. Bookmark the permalink. Ah, Snakelocks. 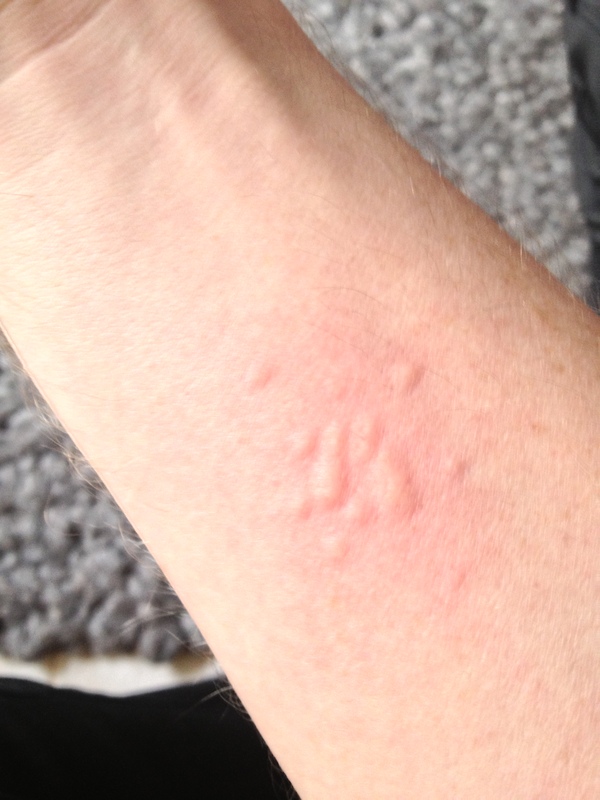 I have fond memories of my many stings. I recall some time ago when I worked in public aquaria we had a new lad who received a welt from a small one in a shanny display. Within twenty minutes he was in hospital with the most remarkable anaphylaxis. Poor bugger. Also, if you ever need to relax, get a tank full of prawns, plunge a forearm in to it, and let them graze. You can’t pay for that kind of massage, I promise. Wow! Your tank is amazing! I saw a few posts of your blog and I’m amazed. I really appreciate that you mention the species’ scientific name. Sorry for my english ;). Continue with this blog, well done. I’m glad you enjoy the beautiful nature.